The next generation of Singapore’s data talent was recently on display during the final round of the IMDA-Tableau Community-Driven Data Stories Competition. Organised by Tableau and the Infocomm Media Development Authority (IMDA), Singapore students were challenged to use publicly available data sets and Tableau’s leading visual analytics platform to create data-driven stories around topics impacting their local communities. Now in its second year, the annual competition encourages the development of in-demand data analytics skills including visualisation and data storytelling. More than 130 students representing 21 educational institutions participated this year, examining public data sets and submitting data visualisations across both ‘Schools’ and ‘Institutes of Higher Learning (IHL)’ categories. 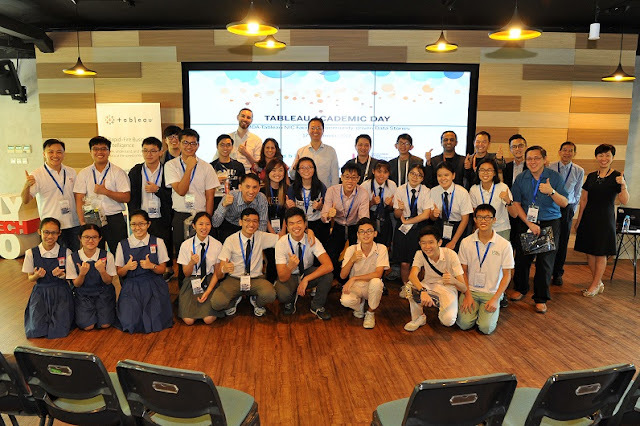 Developed through Tableau’s global Academic Program, competition finals were held in conjunction with the recent Tableau Academic Day with winners taking home prizes and tech gadgets worth over SGD20,000. Through their Digital Readiness programs, IMDA aims to empower people to solve real world problems and prepare them with skills for the digital economy. These efforts are closely aligned with Tableau’s mission and, through the annual competition, local students are able to collaborate with data mentors and bolster highly sought-after data skills. A number of Singapore’s open government data sets inspired this year’s winning visualisations. The ‘IHL’ category winner, Fauzi Bajuri from the National University of Singapore (NUS), created the Friendliness Standards of Building in Singapore visualisation in order to explore the current accessibility of train stations, public buildings, and neighbourhoods around Singapore. The winning team from the ‘Schools’ category examined whether factors like GDP, government budget and others impact the quality of education in their Education Standards & GDP visualisation. Throughout the months-long competition, over 200 Singapore students, teachers and lecturers joined seven local workshops to learn the importance of visual analytics skills and gain first-hand data storytelling experience. Please visit the competition results to find out more about the IMDA-Tableau NIC Faceoff | Community-driven Data Stories Competition 2017 and see the winning entries from each category.